Entering through the stunning custom-designed double front doors, the grand foyer leads to a living room filled with an abundance of natural light. Floor-to-ceiling windows overlook the majestic pool and pavilion. 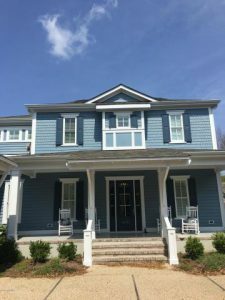 Classically styled and heavy on architectural details, this home is light, fresh and completely turnkey. The kitchen excels in both style and function centering on the 6 burner gas cook top and center island for guests to gather around. 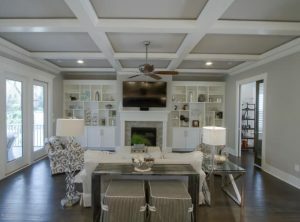 French doors open from the living and family rooms to the terrace which encompasses a custom pool pavilion featuring an outdoor TV, full summer kitchen, outdoor bathroom and shower. A waterfall feature cascading into the salt water, heated pool tops off this one-of-a-kind outdoor entertaining haven. 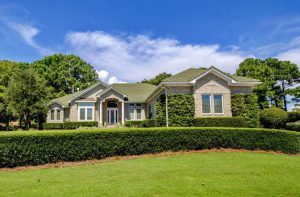 Sprawling one story designed home features large rooms, elegant formal living and dining rooms, open kitchen/breakfast room/family room. 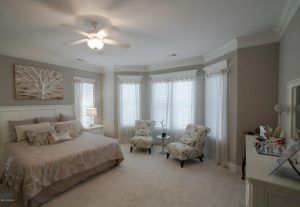 Master suite features a huge bedrooms, double closets, a marble bath with whirlpool bath and spacious vanities. This custom home overlooks the Jack Nicklaus Marsh course, the pond and the new Landfall Clubhouse. 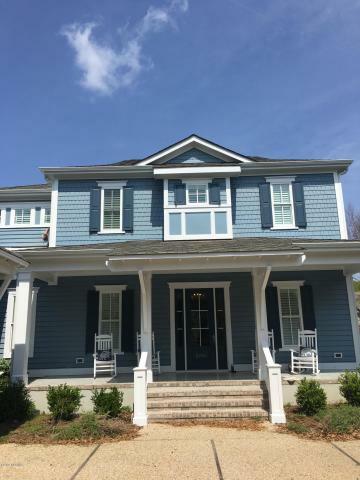 Four bedrooms on the main level, and a extra large bonus room/5th bedroom. 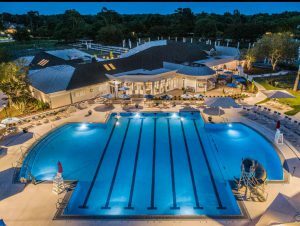 Features also include built in cabinets, gas cooking, SubZero refrigerator, wine cooler, and two porches. If you need a big garage, try the 3 car oversized with a gracious circular driveway. 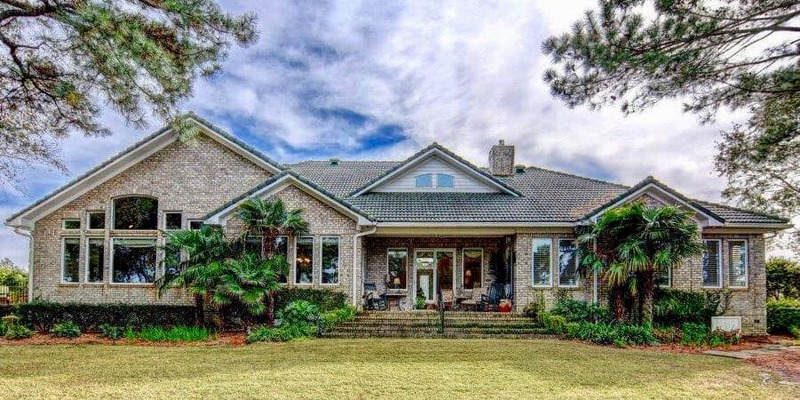 This home also includes a lifetime tile roof! 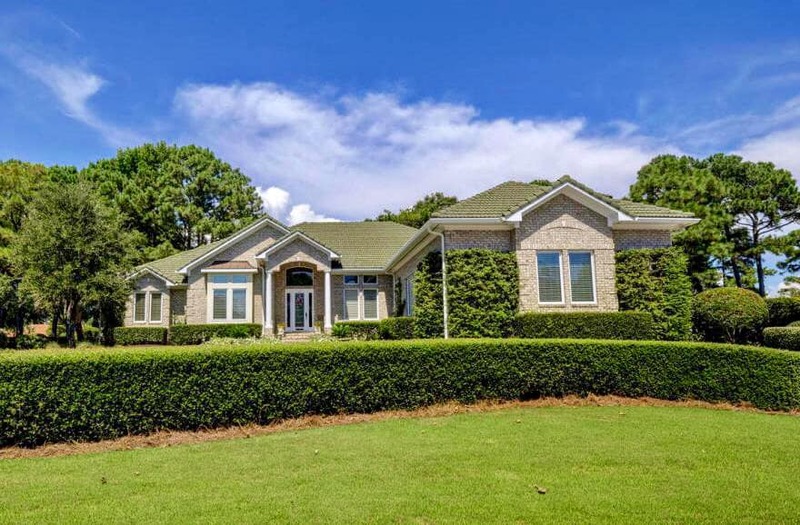 Beautiful gardens/lush lawn and graceful trees to frame this lovely home on a cul-de-sac lot. New heat pumps and new microwave. 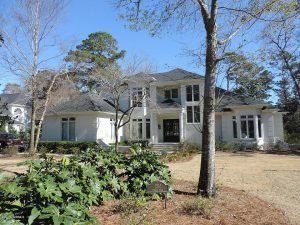 Two Year Young, custom home in Landfall’s Lakeside Villas. 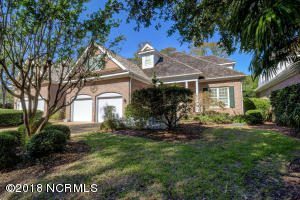 This charming Cape Cod styled home, features the best in open floor plans, and great indoor and outdoor living. 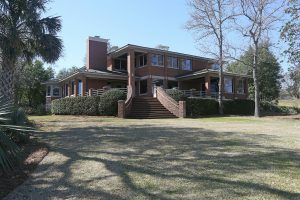 This home includes natural gas heating and air, a top-notch kitchen with gas cook top, and high end appliances. There is even a beverage bar with a wine refrigerator, and a pass through to the screened porch. 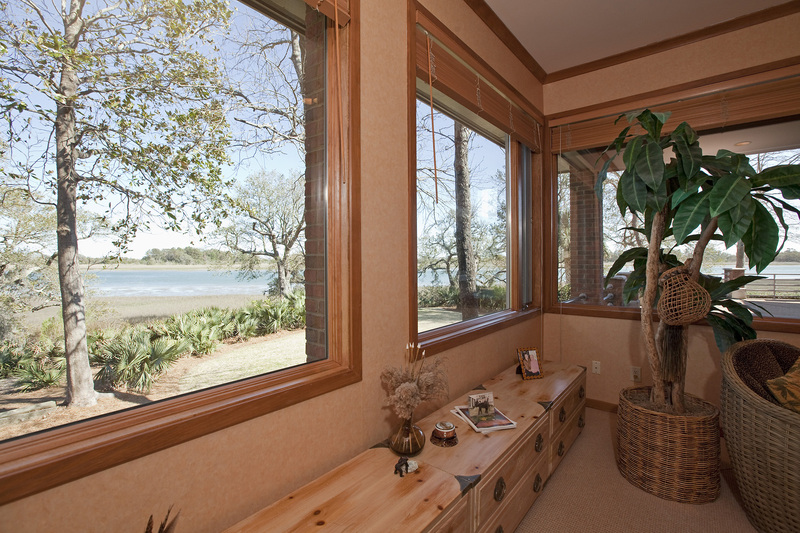 Other amenities include Quartz counter tops, a huge center island, and a walk-in pantry. The living area has lovely built-in cabinets, a coffered ceiling and a large separate dining room. The master suite offers a large dual vanity, a free standing tub, and a roll-in shower. The closet is the BEST! Upstairs are 3 more bedrooms, and a large den/study which could be a 5th bedroom. This one is priced to sell quickly. 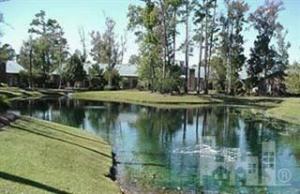 Agent Remarks: COA and HOA fees include landscaping maintenance. Motivated Seller! 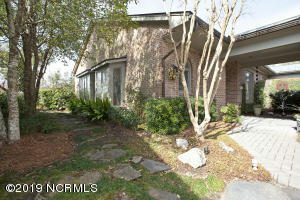 Relocating out of state. 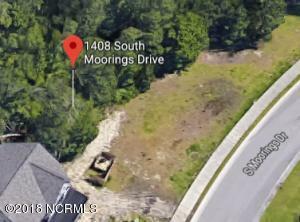 This lot is extra wide for grand one story home. Landfall has it all! 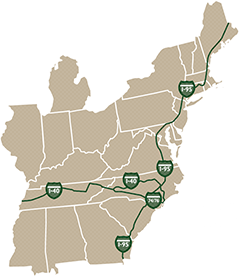 Ride a bike to Mayfaire Shopping, Restaurants, and Theatres. 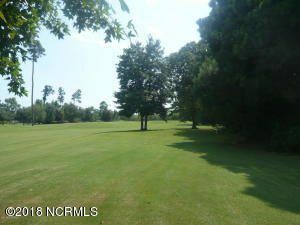 This wide homesite overlooking hole #2 on the Nicklaus Marsh Course has room for sprawling Ranch home with side load multiple garages. This spacious lot is one of the estate homesites in The Highlands neighborhood at Landfall. A wonderful opportunity to be situated among many custom homes in the million dollar plus price range. 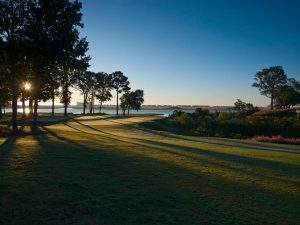 A short drive to Wrightsville Beach, or walk to the newly renovated Landfall Clubhouse. 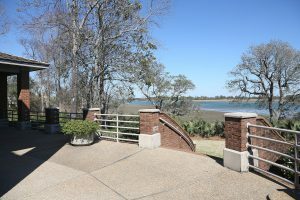 Located in Landfall and now available for those seeking an upscale, custom, private community home in a premier location. 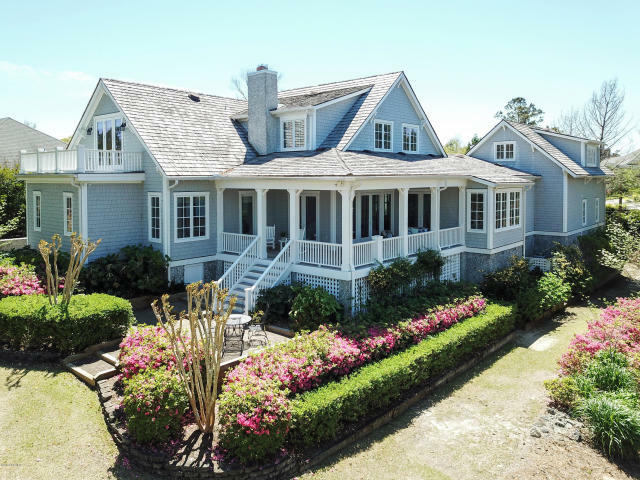 This beautiful home is overlooking #5 on the Nicklaus Ocean Course. This saltwater pool oasis is surrounded by natural privacy and exquisite stonework makes for a piece of paradise in your own backyard. 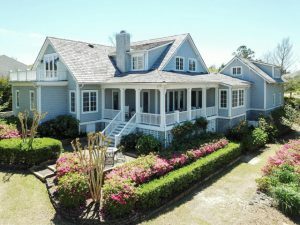 Agent Remarks: PERFECTION in every way! If you can touch it, it’s been totally renovated. Gorgeous new kitchen, huge granite island with lots of extra features including appliance space, wine cooler, and more. New Deluxe floors throughout, new HVAC, extra insulation. 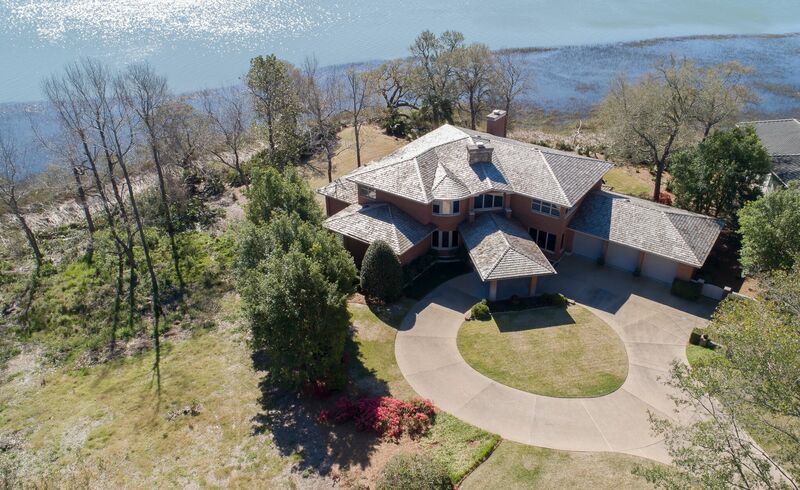 This DIAMOND overlooks the pond, and has a two car garage. Very few of the condos have this special feature, including the gracious garden at the entrance. You won’t want to miss out on this one! Barn doors and kit. chandelier are excluded. 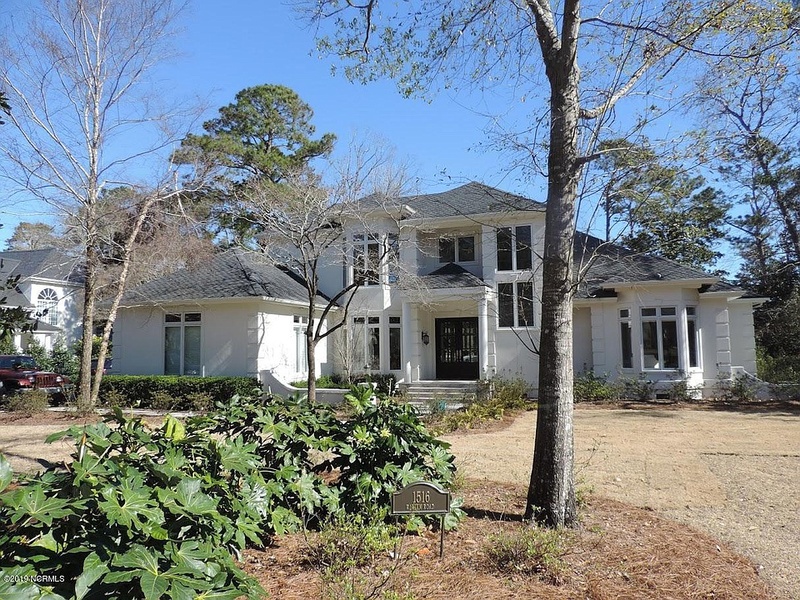 Stunning Waterfront home in Landfall, one of North Carolina’s most exclusive gated communities. 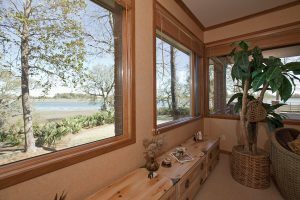 This Intracoastal Waterway setting offers panoramic views from all first floor rooms and a breathtaking porch for entertaining and boat watching. You are welcomed to this one of a kind home by way of its circular drive to the elegant porte cochere entry. 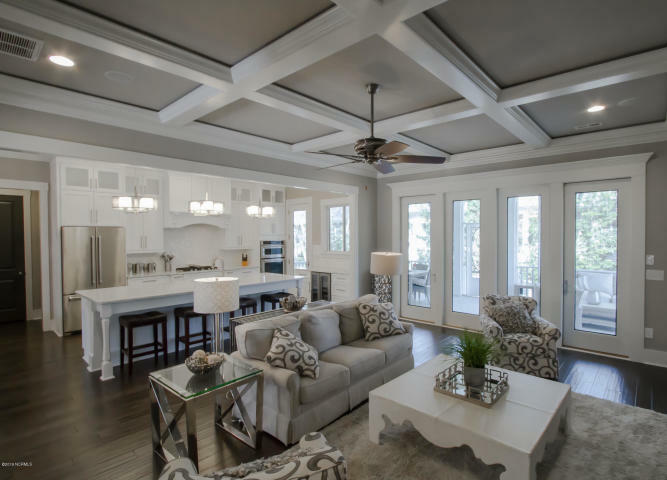 Inside, the awe inspiring two-story great room features a wood coffered ceiling with beautiful details. 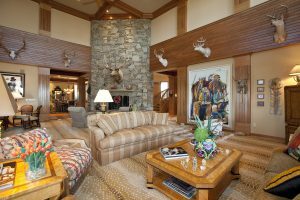 The unique craftsmanship of this architectural gem includes a gently curved staircase and a grand stone fireplace that serves as the centerpiece of the main living area. 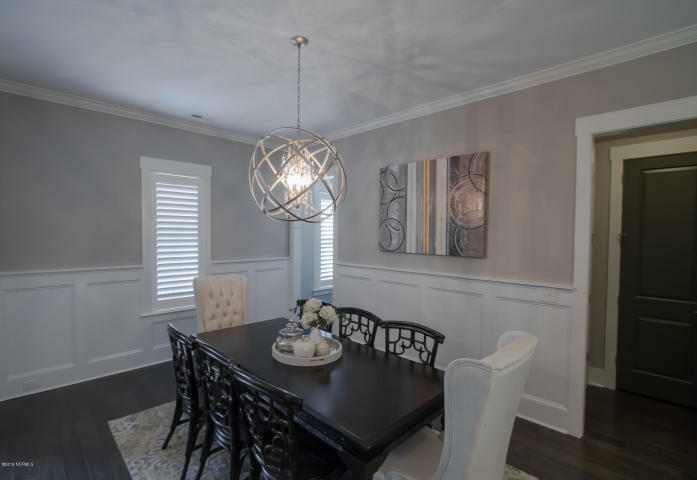 The formal areas include an over-sized dining room, a family room with a charming breakfast booth, and an efficient gourmet kitchen with a wood detailed ceiling.